Easter is around the corner! 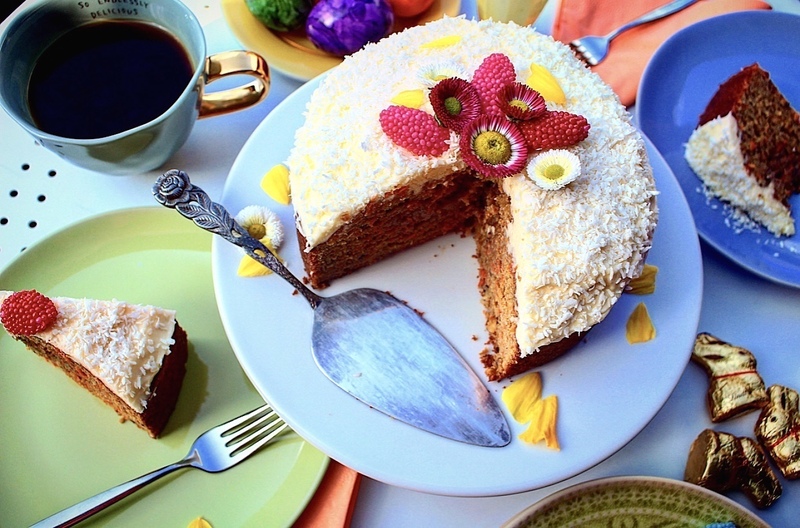 Prep your Easter brunch with this succulent carrot cake. 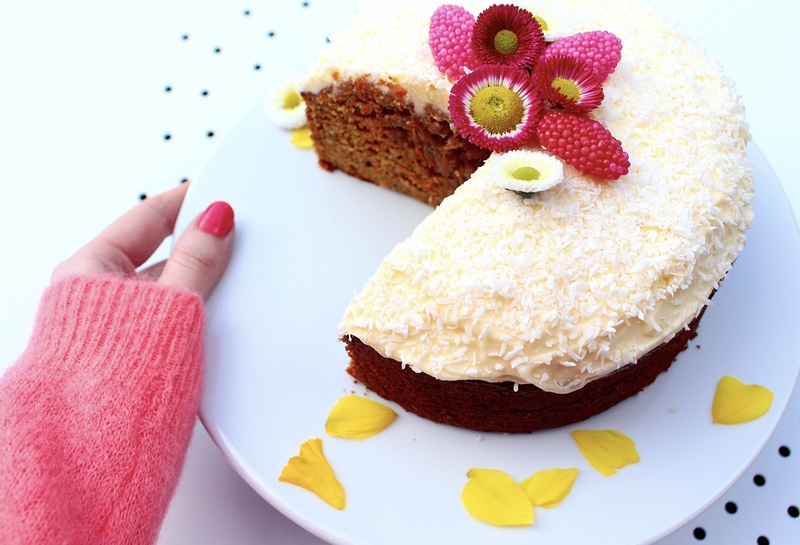 Nourishing walnuts, carrots & a homemade frosting with coconut flakes make a wonderful dessert that not only Easter bunnies are going to love. Preheat the oven to 180 degrees Celsius (356 °F). Use a whisk to beat well the sugar, butter, eggs, orange juice, orange zest and vanilla sugar in a bowl. Mix the flour, baking powder, salt, cinnamon, nutmeg & pepper and stir together with the orange-butter mixture. Fold in the carrots and walnuts. Grease a baking form with butter and sprinkle it with flour. Fill the dough into the form and bake in the oven for about 45 minutes until a toothpick inserted in the center comes out clean. Frosting: Use a fork or mixer to blend well the butter with cream cheese & sifted icing sugar. Spread the icing on the cake and sprinkle coconut flakes as a finish. Posted in Food and tagged Brunch, cake, carrot cake, carrots, Easter, easter brunch, icing, Walnuts. Bookmark the permalink.